To start, the term “bison” is scientifically more accurate than “buffalo” when referring to North American populations. In the 16th century, approximately 30 million to 60 million wild bison (Bison bison), roamed North America, according to the U.S. Fish and Wildlife Service. Over the span of the 19th century the number of bison on the continent was reduced to 1,000. Bison were slaughtered for a variety of reasons, including for food and for their hides and bones. We take no position on the lawsuit. But we can say there is knowledge of water quality from the 1800s and before. We can also say scientists don’t need data from the 1800s and before to know that the applications of crop fertilizers have negatively impacted water quality in the U.S., despite King’s implication. We reached out to King’s office for clarification and comment, but it hasn’t gotten back to us. We will report back if it does. In the next sections we’ll explain what scientists know about water quality in the U.S. pre- and post-1900. Early analyses concentrated on evaluating the mineral composition of water. By 1850, scientists had distinguished “90 chemical elements,” writes Myers, including chlorine, sulfuric acid, water hardness and organic matter. Spurred by outbreaks of water borne diseases (e.g. cholera and typhoid fever) starting in the 1830s, chemists developed additional methods for evaluating water pollution from sewage. These included tests for nitrogen-based chemicals, like ammonia. Scientists also began publishing manuals on water analysis methods in the 1800s. Myers notes one in particular: Water Analysis: A Practical Treatise on the Examination of Potable Water. First published in 1868, the book outlines techniques for detecting nitrate and nitrite, among other chemicals, in water. Between 1887 and 1894, Massachusetts carried out what’s been called the “Great Sanitation Survey.” This was “the most extensive effort of its time with more than 40,000 samples collected in rivers, streams, and wells” across the state, writes Myers. The survey included analyses of nitrate, nitrite, ammonia and chlorine. Shortly after Massachusetts began its survey, New York, Connecticut, Ohio and Illinois followed suit. However, by the late 1800s, humans already had drastically reduced bison numbers and impacted water quality. But scientists also can evaluate “ ‘baseline’ conditions, meaning water quality and ecology in the absence of human effects” by using “the least disturbed sites we have available today,” Peter Van Metre, a hydrologist at the USGS, told us by email. Scientists can also use sediment cores from water bodies, a technique from paleolimnology, to evaluate the water quality of the past. “As sediments accumulate in lakes and the oceans, they preserve a record of historical water quality,” Van Metre explained. Some of the most extensive research on water quality using sediment cores analyzes mercury contamination, he told us. Atmospheric mercury often contaminates lakes and rivers via rainfall. Methylmercury in particular is a known neurotoxin to humans, fish and other wildlife. Techniques from paleolimnology can also be used to analyze nitrate levels over time, a chemical King mentions during the hearing. However, unlike mercury, nitrate is water soluble, so it doesn’t remain in the sediment, Van Metre told us. So researchers use diatoms as indicators of changes in nitrate levels over time. Diatoms are algae with silicon shells, which are preserved in sediment. 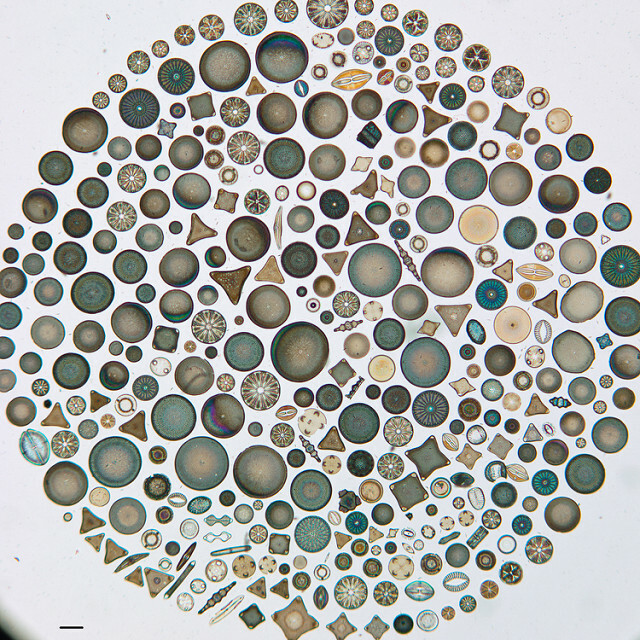 “Researchers can identify the different species from those shells” and reconstruct how algae communities change because different species are sensitive to different changes in water quality, including nitrate levels, Van Metre said. In 2003 R. Eugene Turner and Nancy N. Rabalais, ecologists at Louisiana State University, published a paper in BioScience that used this technique. The researchers specifically looked at Mississippi River Basin, which spans the Midwest and includes King’s state of Iowa. In addition to examining changes in land clearing, agricultural expansion and soil erosion, they also analyzed diatom levels at the mouth of the Mississippi River. With data dating to 1700, Turner and Rabalais found that peaks and declines in diatom levels “coincide with land-use changes resulting from land clearing, expansion of agriculture, and land drainage efforts” within the region. 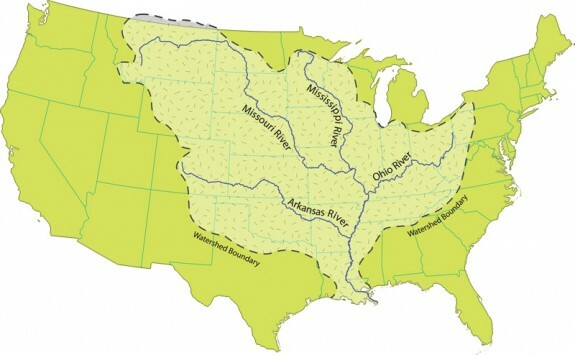 In short, scientists have knowledge of water quality in the U.S. “when the buffalo roamed,” despite what King claimed. Some water quality testing was conducted, but they can also reach back in time using methods from paleolimnology. In the next section, we’ll outline how the data collected in the 1900s further supports the link between applications of fertilizers and decreased water quality in the U.S.
Water quality monitoring “increased substantially” in the 20th century, especially after the passage of the Clean Water Act in 1972, Lori Sprague, a surface water specialist at USUGS, told us by email. “We really don’t have to go back” to when the bison roamed “to see the change [in water quality] due to nitrate … pollution in just the 20th century alone,” Myers, the author of the Food, Energy and Water chapter, also told us in an email. Blue baby syndrome, also called methaemoglobinaemia, is “caused by the decreased ability of blood to carry vital oxygen around the body. One of the most common causes is nitrate in drinking water,” according to the World Health Organization. If severe enough, these algae blooms can completely deplete water bodies of oxygen, leading to massive fish deaths, like those experienced in Lake Erie over the 20th and 21st centuries. The cause? An excess of nutrients like nitrates and phosphates in the ecosystem. Small amounts these nutrients are necessary for plant growth and a healthy ecosystem. But in excess, they disturb ecosystems and leach into drinking water supplies. How does this happen? “When soils are disturbed enough during cultivation, the ecological processes that keep nutrients bound up in the soil and organic matter are subdued, and the stored nitrogen is released,” explain Turner and Rabalais in their BioScience paper. The nutrients then leach into creeks, rivers and coastal zones. In other words, soils can become “exhausted” through cultivation, meaning they can’t hold nutrients or be used for crop farming. So farmers apply fertilizers to compensate for the decreased soil productivity. “Many studies have concluded that the application of fertilizers is a major source of the increased nutrient loading among large river watersheds in the last 50 years,” write Turner and Rabalais. As previously mentioned, the authors point to nitrate, or nitrogen-based fertilizers, in particular as the main culprit in the Mississippi River watershed. “One thing seems certain: It took decades for the present system to develop, which suggests that it will take decades of working together for water quality rehabilitation to succeed,” the authors add. In sum, there is scientific consensus that crop fertilizers have negatively impacted water quality in the U.S. Scientists have some evidence from the 19th century and before as well as plenty of evidence from the 20th century to support their conclusion, despite King’s implication. 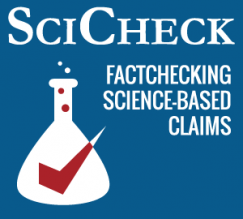 Editor’s Note: SciCheck is made possible by a grant from the Stanton Foundation.